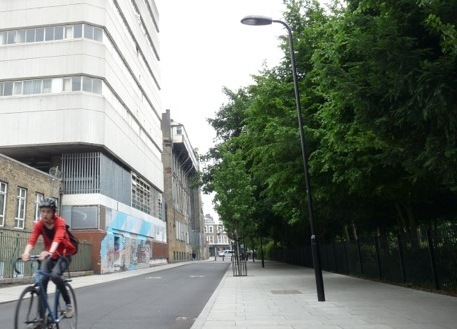 HACKNEY is the leading cycling borough in the capital, according to a survey. In an analysis of Londoners’ journeys to work, Hackney wards * take the top 12 positions in the hot 100 listing of two-wheeled travel, starting with Clissold. 2 Stoke Newington 20.3%, 3 Queensbridge 20.1%, 4 Dalston 19.4% (yay! ), 5 Hackney Downs 18.5%, 6 Hackney Central 17.5%, 7 Victoria 16.8%, 8 Leabridge 16.7%, 9 Wick 15.3%, 10 Chatham 15.2%, 11 De Beauvoir 14.9%, 12 Lordship 14.6%. Other boroughs then enter the table. The survey has been produced by cycle-friendly law firm Bolt Burdon Kemp (BBK), University College London and the Centre for Advanced Spatial Analysis. Surveys often arouse justified cynicism about their sponsor and possible bias. The last time statistics suggested that Hackney had more cyclists than any other borough, members of the council’s ruling Labour group were quick to say it was because of their policies. No proof of the claimed correlation was ever given. * All pictures on this page © DavidAltheer [at] gmail.com. All for sale for reproduction.Most photographs can be visually enlarged by pressing on them. * A ward is a local-government electorate subdivision. Hackney council merits praise in the report, although I note that it does not attribute the rise in the number of cyclists in Hackney to council policies. You asked in an earlier comment “How would you provide proof of a correlation between the council’s policies and programme?” Your question seems to be rhetorical, so I think you will agree that any attempt to claim a link would be highly cynical. The issue we three have discussed here is simply one of logic. Far better is for the council to discuss measures to make journeys as safe as possible for the indisputably rising number of cyclists in the borough. Let’s see a proliferation of the kind of car-free cycle paths installed throughout towns and cities in the Lowlands, Germany, Switzerland and other continent countries. Why wait for the Mayor of London? Get on with it. As the London Cycling Campaign urges: Go Dutch. — Ed. How would you provide proof of a correlation between the council’s policies and programmes and the extraordinary increase in cycling in the borough, particularly to a cynical journo? It is too multi-faceted. …..and of course, more to be done. The article was referring to local politicians who flourish statistics that show a cycling increase and, without demonstrating a link, say it is because of their policies. That is cynicism. That England had a good fruit harvest this year is not necessarily because Farmer Giles said his prayers every night. I am glad to notice that your blog, however, acknowledges several possible reasons for the cycling surge in Hackney, where much has, as you say, been done by the council to create “a cycleable, liveable borough”. Incidentally, I am glad of this chance to commend your blog, which is on Loving Dalston’s list of commendations. And writer Hamish is glad your site mentions the previous London cycling survey, which saved him the trouble of searching for it. I had told him that this week’s was not the first, contrary to what its promoters said. — Ed.